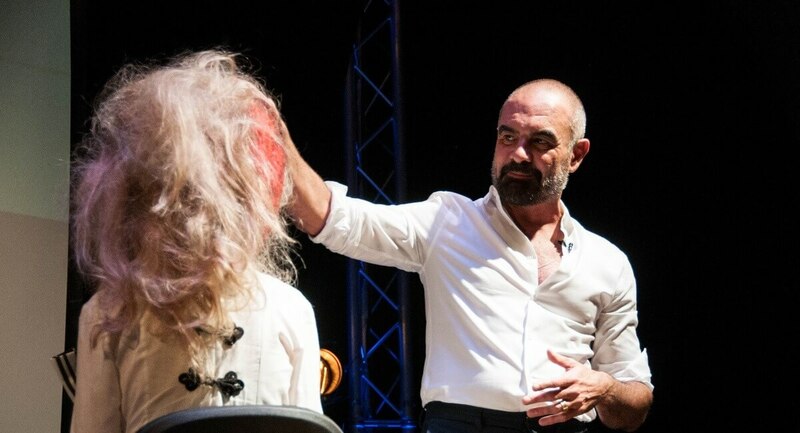 Celebrity Hairdresser, Andrew Barton, returned to College to showcase his expertise and talk about his extensive career in hairdressing at a special event. 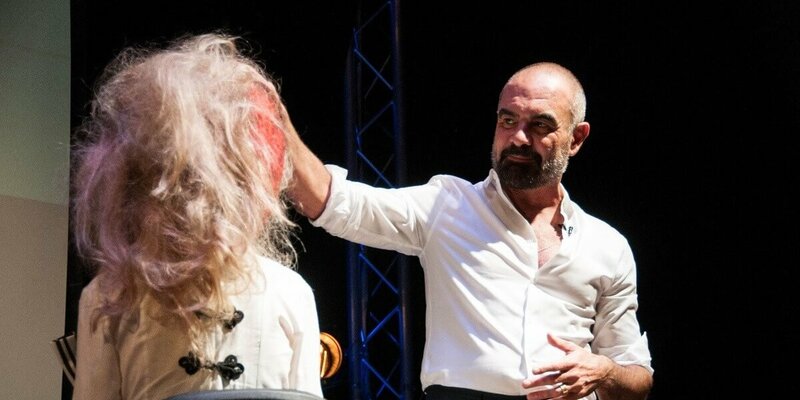 Former student Andrew Barton is renowned as hairdressing royalty and best known as the hair expert on hit TV make over show 10 Years Younger. He holds a string of awards and is the authority on all things hair with his signature hairdressing in demand across the world. Andrew came to the College as an inspirational speaker to talk to local hairdressers and current Hair and Beauty students about his career path and gave tips on being successful within the competitive industry. Andrew started the event, held in the College’s Electric Theatre, by sharing how his hairdressing journey began as an apprentice who trained with the College. He later carried out live demonstrations which showed his modern twist on three iconic hairstyles: the beehive, bob and blow dry. He said: “Hairdressers have the power to transform how people feel about themselves. I want to encourage students to explore the culture of hair and how it can contribute to well-being and success.